This page is intended for 3D developers. 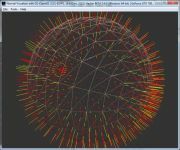 The page lists the OpenGL extensions and Direct3D caps. You can use the GPU Caps Viewer to get the OpenGL extensions list or jump direclty to the extension description webpage. Page generated in 0.0030808448791504 seconds.